In Part 1, based on system back testing, I concluded that the best raw data to use in Emini trading was the Commitment of Traders data for the large S&P500 contract (SP). It appears that the most well informed traders are those classified as Commercials and trading the SP – not those Commercials trading the Emini (ES)! What was more worrying was that the CFTC appears to have inconsistent rules for classifying traders as Commercials – at least for Index futures. The chart below illustrates the point, with large jumps in the underlying data when re-classification occurs. 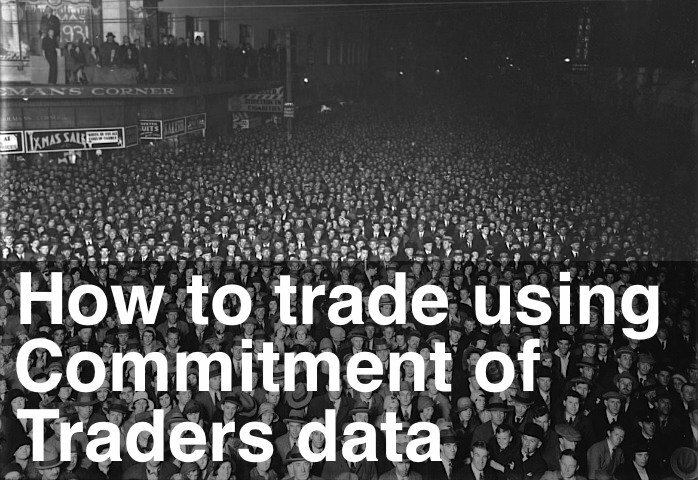 Commitment of Traders data analysis appears to be more art than science. This week I back-tested my Commitment of Traders Oscillator with the different input data. Using a simple system that goes long when the Oscillator turns up from below zero and short when the Oscillator turns down from above zero you can see which Commitment of Traders data is best. Here’s the summary, trading 1 Emini contract between Sept. 1997 and Jan. 2008. Once again, the worst data to use is the Emini or the “mini-sized” contract data. These had Profit Factors of 1.24 and 1.25 and percent profitable only 54%. The large S&P500 contract and using all Index data did better with Profit Factors of 1.36 and 1.37 and percent profitable of 57% and 58%. However, the best performance resulted from using data from all the “full-sized” index contracts. This produced a Profit Factor of 1.89, percent profitable of 64% and the lowest Max Drawdown result. The overall shape of the Commitment of Traders Oscillator did not change markedly between using the SP contract and all “full-sized” contracts. But the signals at a couple of important market turning points were superior using the combined “full-sized” Commitment of Traders data. As a result of this latest analysis, I will be following the SP data for direction and the Large contract data for the Commitment of Traders Oscillator. I’ll continue this article next week and re-visit the Black Swan article posted back in August 2007. The mystery of the Black Swan event is now solved. In the meantime here are the latest Commitment of Traders charts, showing SP Professionals are long and the re-worked Oscillator has now turned up.